A Kansas City Symphony and Chorus Tradition! The Messiah performance of the year! Nearly 200 amazing musicians and powerful voices bring this choral masterpiece to life with the return of Aram Demirjian as guest conductor. 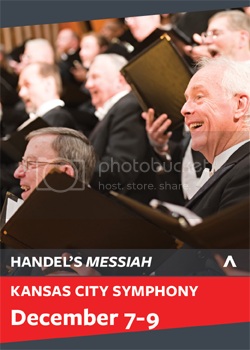 From the “Passion of the Christ” to the “Hallelujah Chorus,” Handel’s glorious Messiah is bigger and better than ever in the acoustically marvelous Helzberg Hall at the Kauffman Center – an unforgettable start to your holiday season. 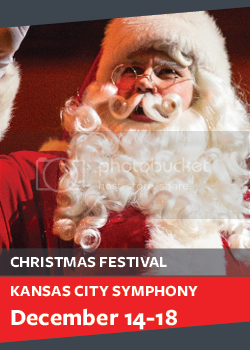 Kansas City’s favorite Christmas concert tradition returns for seven joyous performances with the Symphony and Symphony Chorus. Cherished Christmas carols and Yuletide songs, talented special guests and one jolly visitor from the North Pole are sure to fill you with holiday spirit. 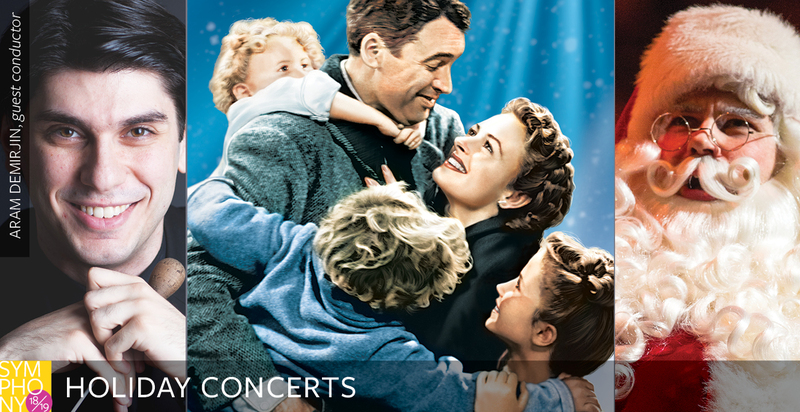 Your family and friends will love this special concert experience, capturing the true essence of the season. At each performance, we’ll give away a dazzling jewelry prize from Helzberg Diamonds, no purchase necessary. 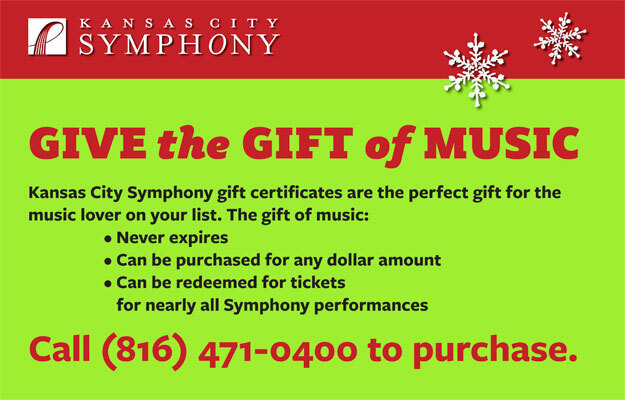 The Kansas City Symphony also offers gift certificates — one size fits all! Thursday and Friday, January 3-4 at 7 p.m.
Saturday, January 5 at 12 p.m.
Sunday, January 6 at 4 p.m. Grab your broom and get ready for the tasks ahead! The Triwizard Tournament comes to Hogwarts™ in Harry Potter and the Goblet of Fire™ in Concert. 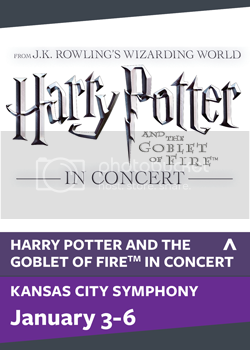 Relive the magic of Harry Potter™ soaring across the big screen in high-definition and experience the Kansas City Symphony performing Patrick Doyle’s unforgettable score live. Friday and Saturday, January 11-12 at 8 p.m.
Sunday, January 13 at 2 p.m.
We’re bringing St. Petersburg to Kansas City with three Russian giants — Stravinsky, Glazunov and Tchaikovsky, led by St. Petersburg native Andrey Boreyko who makes his Kansas City Symphony conducting debut. Presumed lost for more than a century, the recent rediscovery of Chant funèbre allows audiences to hear a young Stravinsky’s rise to prominence before he wrote his famed Firebird. Glazunov’s passionate Violin Concerto blends colorful, freewheeling melodies with impressive technical feats. Tchaikovsky’s triumphant Third Suite culminates in a powerful theme-and-variations finale. Thursday, January 17 at 7 p.m.
We’ve handpicked some of the best Grammy® Award-winning music for a one-night-only showcase in the world-class acoustics of Helzberg Hall. You’ll hear excerpts from the film “Up” by Michael Giacchino, an arrangement of Coldplay’s “Viva La Vida” and music by Aaron Copland, Joan Tower and Jennifer Higdon. Principal Viola Christine Grossman stars in Higdon’s Viola Concerto. Afterward, enjoy a complimentary glass of wine or champagne, and mingle with Symphony musicians. Sponsored by BMO Wealth Management. Most tickets $25. Thursday and Friday, January 31 – February 1 at 7 p.m.
Saturday, February 2 at 2 p.m.
Sunday, February 3 at 4 p.m. Journey back to 1977 and a galaxy far, far away for the classic first film of the original “Star Wars” trilogy, written and directed by George Lucas and starring Mark Hamill, Harrison Ford and Carrie Fisher. 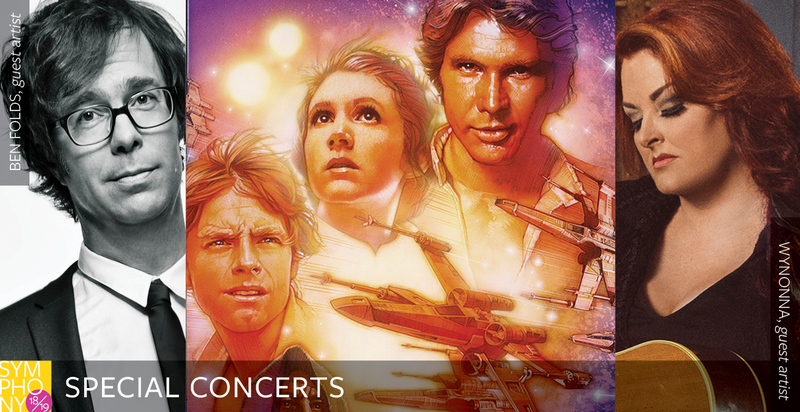 Watch the Rebel Alliance attempt to destroy the Death Star on a huge screen in Helzberg Hall while your Kansas City Symphony performs the thrilling John Williams score live. 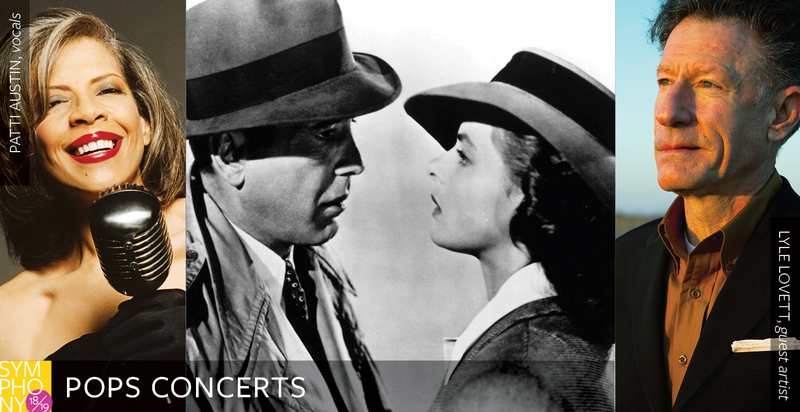 For more information, call the Symphony Box Office at (816)-471-0400between 10 a.m. and 5 p.m. weekdays. 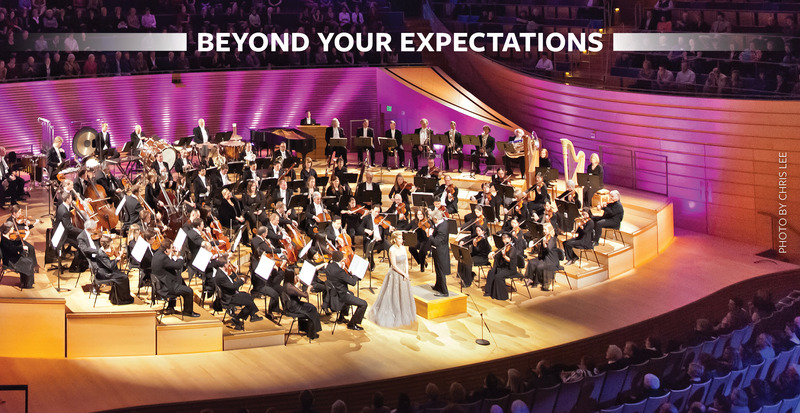 From blockbuster movie concerts to some of the absolute best classical repertoire, the Kansas City Symphony’s 2018/19 season offers thrilling live music for everyone in Helzberg Hall at the Kauffman Center for the Performing Arts. 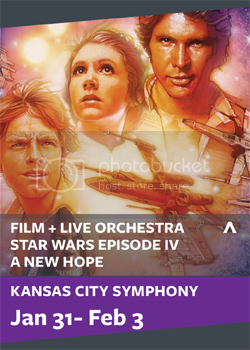 Single tickets will be available for purchase starting at 10 a.m. Monday, July 30 via kcsymphony.org or by calling the Symphony Box Office at (816) 471-0400. Peter and the Wolf, Live! The Classics Uncorked Series returns with three fun, one-hour casual concerts led by David T. Beals III Associate Conductor Jason Seber. 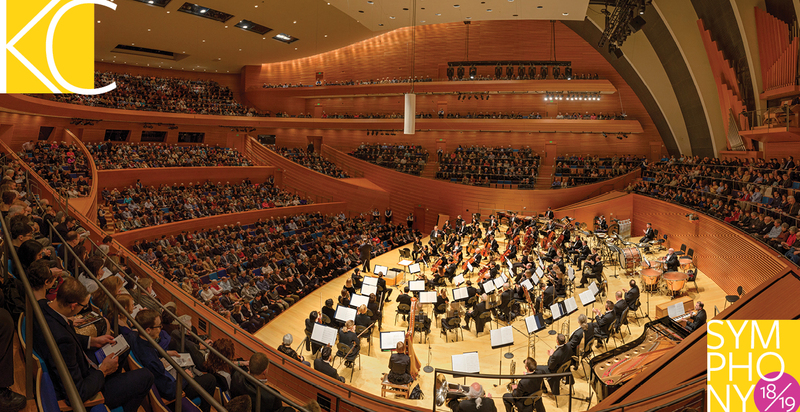 Most tickets are $25 and include a free glass of wine or champagne following the performance when guests can mingle with Symphony musicians in Kauffman Center’s stunning Brandmeyer Great Hall. Sponsored by BMO Wealth Management. Classics Uncorked: Bach, Bluegrass and Bourbon | Thursday, Nov. 8 at 7 p.m.
Ready for some toe-tappin’ fun? We’re bringing a little Kentucky to KC. Come hear some bluegrass pickin’ and pluckin’ plus Bach’s Brandenburg Concerto No. 3. In addition to the post-concert wine reception, a special selection of bourbons will be available for tasting. 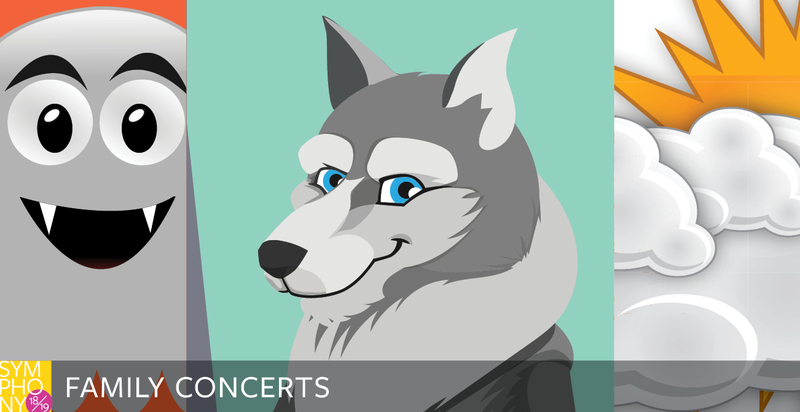 Classics Uncorked: Grammy® Greats | Thursday, Jan. 17, 2019 at 7 p.m.
We’ve handpicked some of the best Grammy® Award-winning music for a one-night-only showcase in the world-class acoustics of Helzberg Hall. You’ll hear excerpts from the film “Up” by Michael Giacchino, an arrangement of Coldplay’s “Viva La Vida” and music by Aaron Copland, Joan Tower and Jennifer Higdon. Principal Viola Christine Grossman stars in Higdon’s Viola Concerto. Classics Uncorked: Secrets Revealed | Thursday, June 13, 2019 at 7 p.m. When the backstory is as intriguing as the music, we have to pull back the curtain! Elgar’s Enigma Variations captures the essence of his friends and even himself in 14 variations on an enigmatic theme. Plus, many speculate his work contains an overarching hidden theme. Masquerade by Anna Clyne conjures up a mid-18th century London promenade concert with street entertainers. 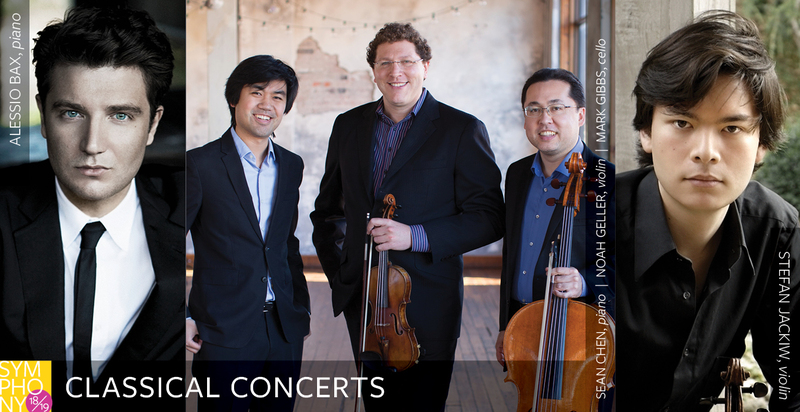 The Free Symphony Happy Hour Concerts featuring chamber music programmed by Symphony musicians are back with seven concerts for the 2018/19 season. Dates to reserve free general admission tickets vary. See website or call Symphony Box Office for additional details. Sponsored by Lead Bank. Piano Pizzazz | Tuesday, Sept. 11 at 6 p.m.
Stars of the Strings | Tuesday, Oct. 16 at 6 p.m. I Love You Verdi Much | Tuesday, Feb. 12, 2019 at 6 p.m.
Soak Up the Baroque | Tuesday, March 5, 2019 at 6 p.m.
Radiant Ravel | Tuesday, April 2, 2019 at 6 p.m. I Could’ve Danced All Night | Tuesday, April 30, 2019 at 6 p.m.
Jan Kraybill’s Organ Extravaganza | Tuesday, May 28 at 6 p.m.
A relatively new concert format for the Symphony, these soothing programs feature guided meditation by certified Relax and Renew® trainer Anita Bailey along with soft, gentle chamber music selections. Tickets are $15, inclusive of all fees. Sounds Relaxing: Recharge | Wednesday, Oct. 3 at 6:30 p.m. Sounds Relaxing: Rejuvenate | Wednesday, Jan. 1, 2019 at 6:30 p.m. Sounds Relaxing: Refresh | Tuesday, Feb. 19, 2019 at 6:30 p.m. Sounds Relaxing: Renew | Wednesday, June 5, 2019 at 6:30 p.m.
Information for additional 2018/19 concerts, including Sensory Friendly concerts, TubaChristmas, and Petite Performances can be found at kcsymphony.org. Season ticket holders may exchange and purchase individual tickets ahead of the public during the Symphony’s subscriber courtesy week, July 23-27, at a discount of $5 per adult ticket (exclusions may apply). Single tickets go on sale Monday, July 23 at 10 a.m. Tickets are available through the Symphony Box Office at (816) 471-0400 or kcsymphony.org. View the 2018/19 season subscription brochure.